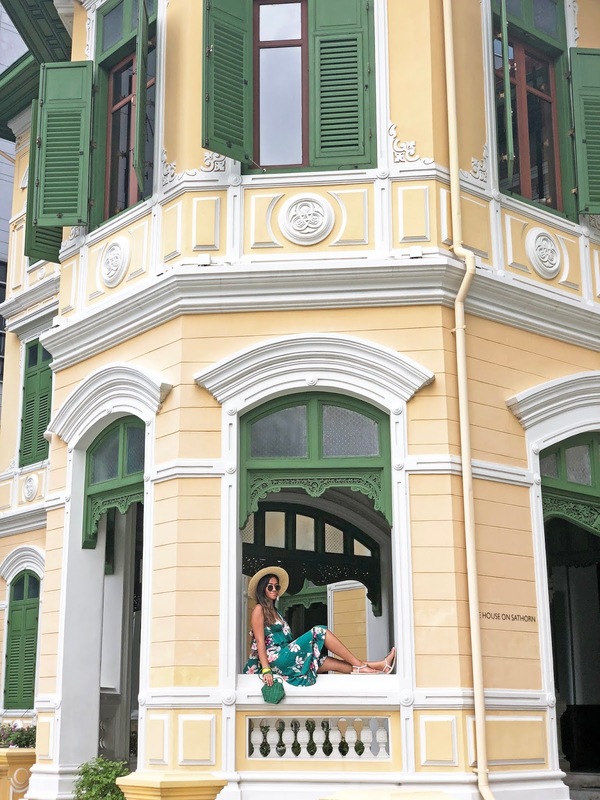 Decked out in chic, colorful and intriguing décor – W Bangkok is not your average 5-star luxury hotel. 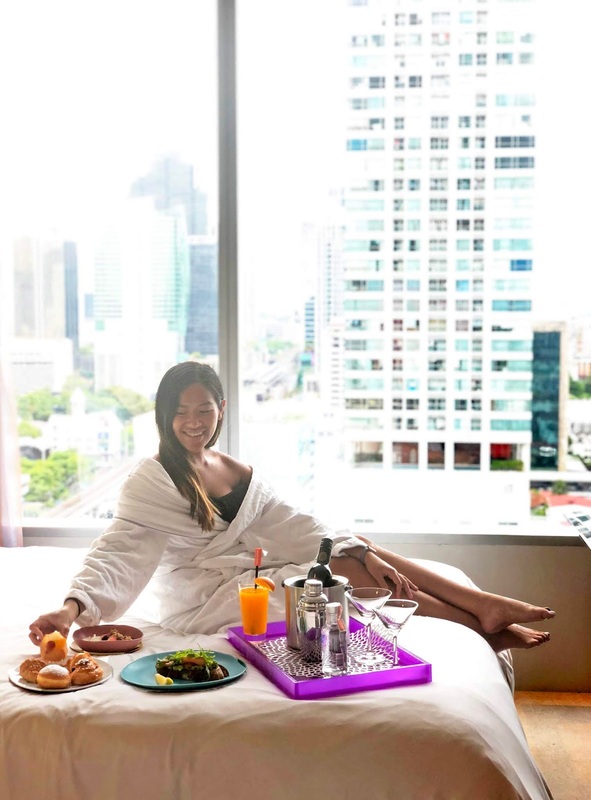 I’m a big fan of W Hotels; so when I was invited to stay at their Bangkok location, I was super excited. 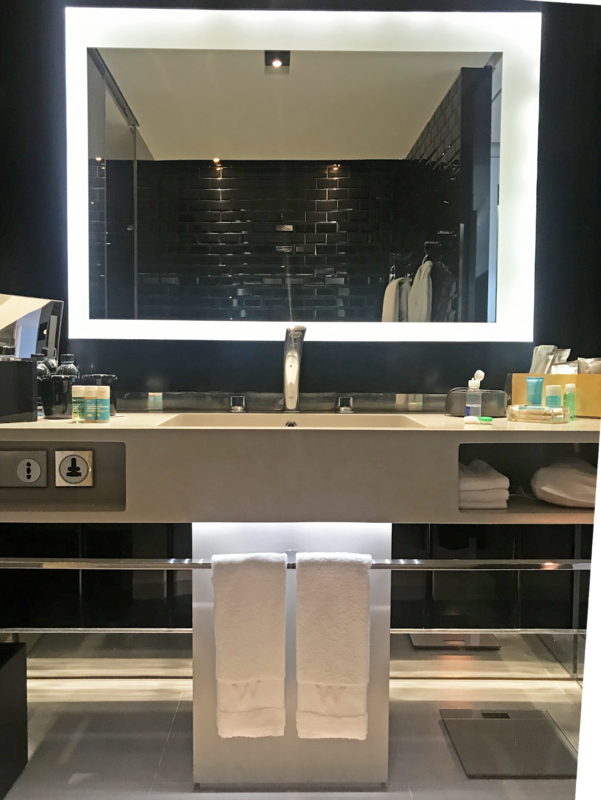 With no surprise, the W Bangkok did not disappoint. Just by pulling up into the driveway, it looked glamorous. W Bangkok is located in the financial district known as Sathorn and only minutes away from the Chong Nonsi metro rail station. Upon arriving, we were greeted by the wonderful staff and the check-in process was quick and easy. 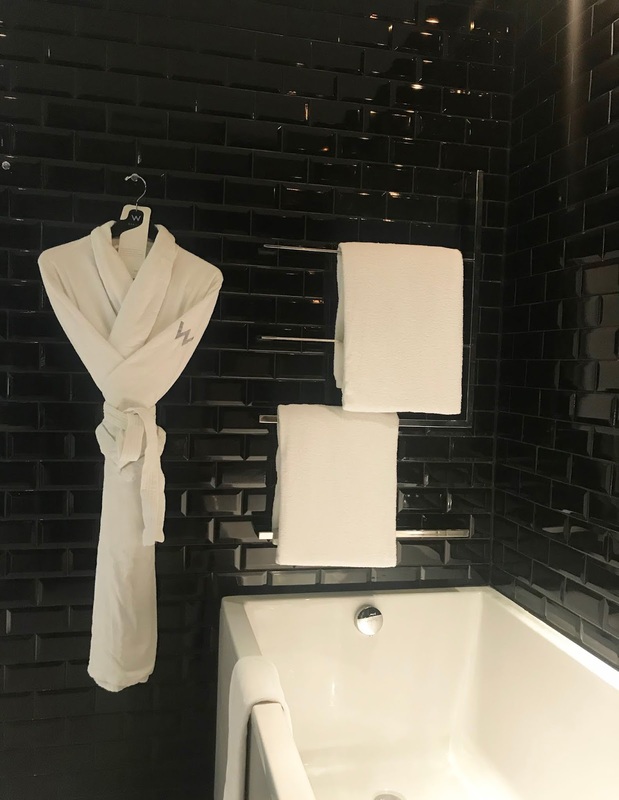 We also could not help but to be amazed at the intricate details and colorful designs of this hotel – when we met with their marketing director, she explained the story behind it all. Each W Hotel around the world is unique in its own way; depending on the location, there lies a theme. The Bangkok location's theme is Thai boxing – which is a popular sport throughout Thailand. The theme runs throughout the hotel including the rooms. We stayed in their Cool Corner Room. 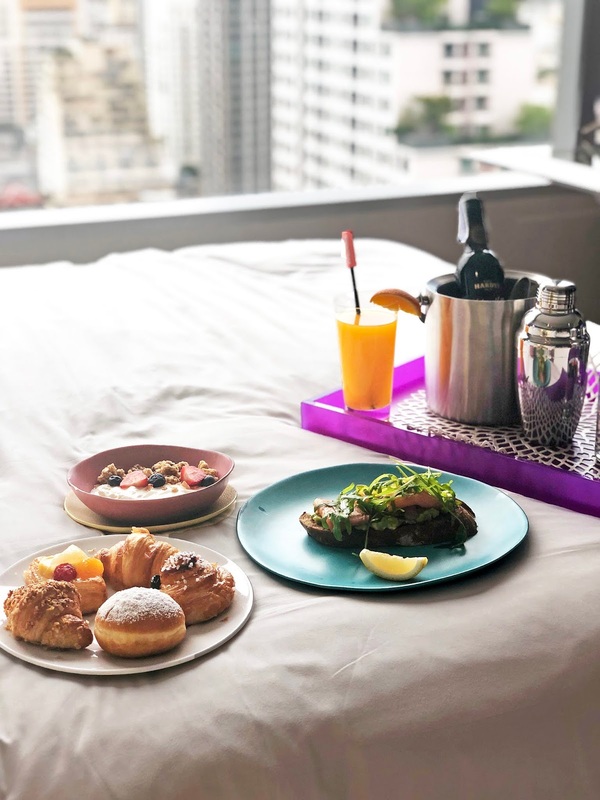 The room was the perfect size for 3 people featuring two double beds, as well as standard in-room amenities and equipped with flashy Thai “boxing gloves” and an incredible city view. I must say W Bangkok did not disappoint in this department. W Bangkok had the best breakfast buffet selection I have ever experienced. It was the best way to start the day – serving a wide selection of cuisine types (Chinese, Thai, Japanese, etc.) – you were never left hungry. Located right next to W Bangkok's first floor lobby. We were quite jet lagged the first night - so instead of exploring Bangkok's nightlife, it was great to wind down and grab a drink at the bar downstairs. The W Bangkok also features in-room dining - and while the entire menu was phenomenal, you MUST order their pizza! My friend and I were pleasantly satisfied - a taste to remember! 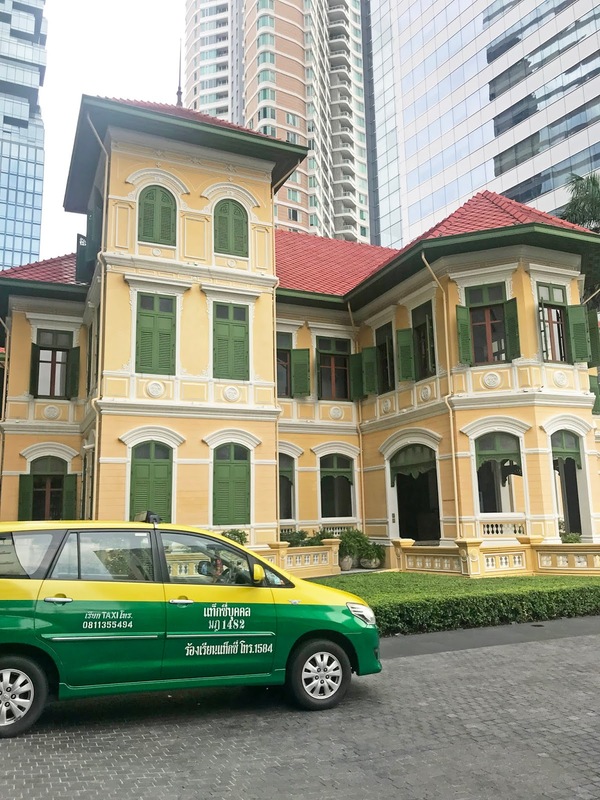 Next to the hotel is a beautiful yellow and green building called the House of Sathorn, a colonial mansion built in 1889 and a Thai national heritage home on Sathorn Road. Here you can experience The Dining Room – which was listed in Asia’s 50 Best Restaurants in 2017, The Courtyard, and The Bar. During our time, we only had a chance to experience The Bar, which was a small, speakeasy feel bar – featuring unique crafted cocktails and tempting bites. 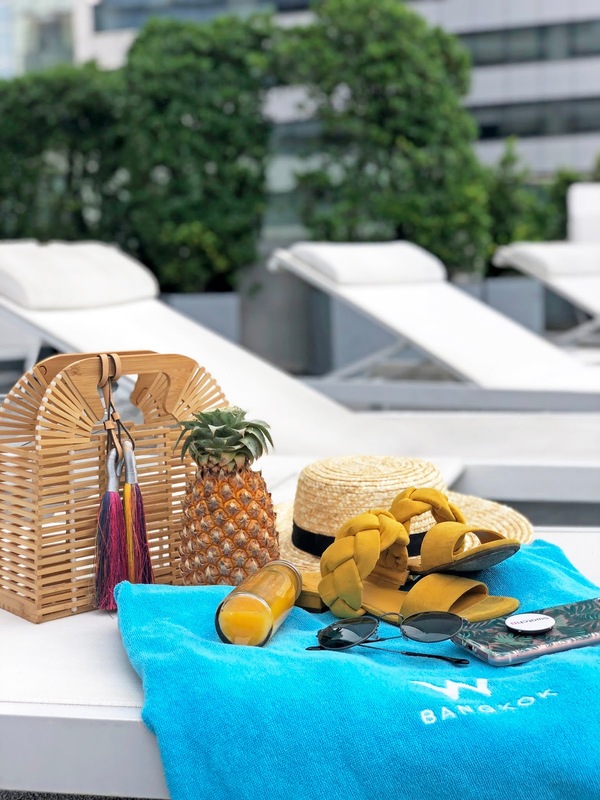 The W Bangkok offers guests with an array of luxury hotel amenities, such as pool, gym, and spa. AWAY Spa- Located on the 6th floor and adjacent to the pool and gym is the AWAY spa. We have been traveling the entire previous and present day (25+ hours) and you could only imagine how badly a spa treatment was needed. In fact, it was the perfect way to kick off our trip! 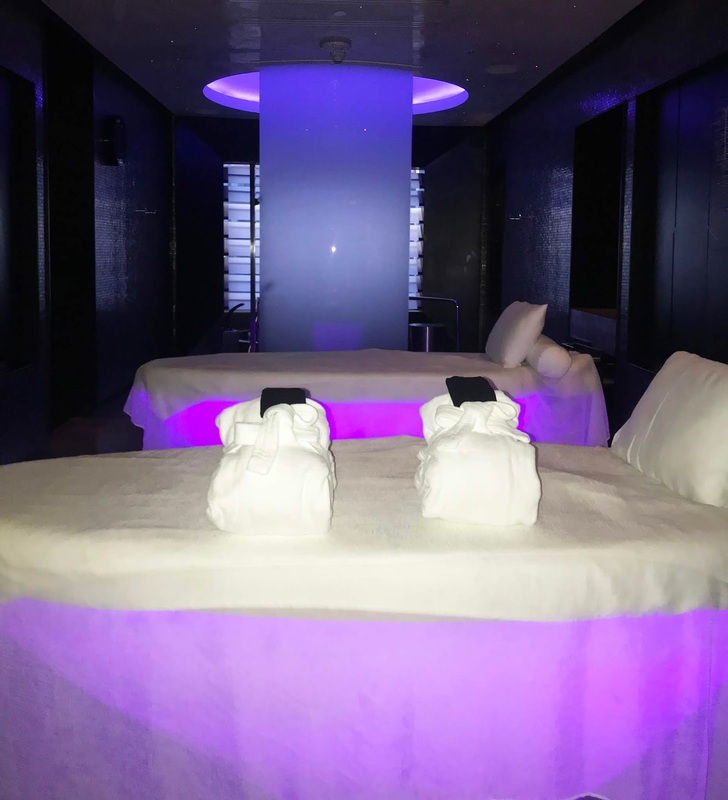 At the spa, I had received their 60 minute signature massage and 60 minute facial – it felt amazing to say the least. The spa offers other treatments as well as nail and beauty services as well. View the full menu here. The spa also offers guests with a steam room and Jacuzzi – which as you could guess, I enjoyed right after. WET Pool- With amazing city views and relaxing ambiance, it’s hard not to want to head on over to WET rooftop pool. 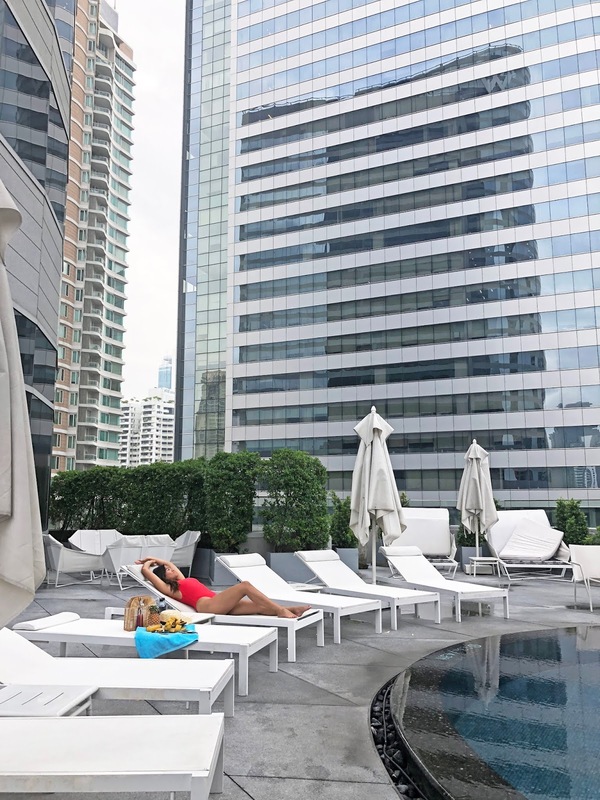 Also located on the 6th floor is the hotel’s inviting outdoor swimming pool – and a definite Instagram-worthy spot! As we toured the hotel, one of the interesting things we learned is the pool is shaped as an eye (if you look carefully and closely, you’ll see it). FIT Gym- Next to the pool is the FIT gym. Equipped with all of your gym essentials – treadmills, elliptical, bikes, weights, you name it! Complimentary towels, refreshments and headphones are also available. 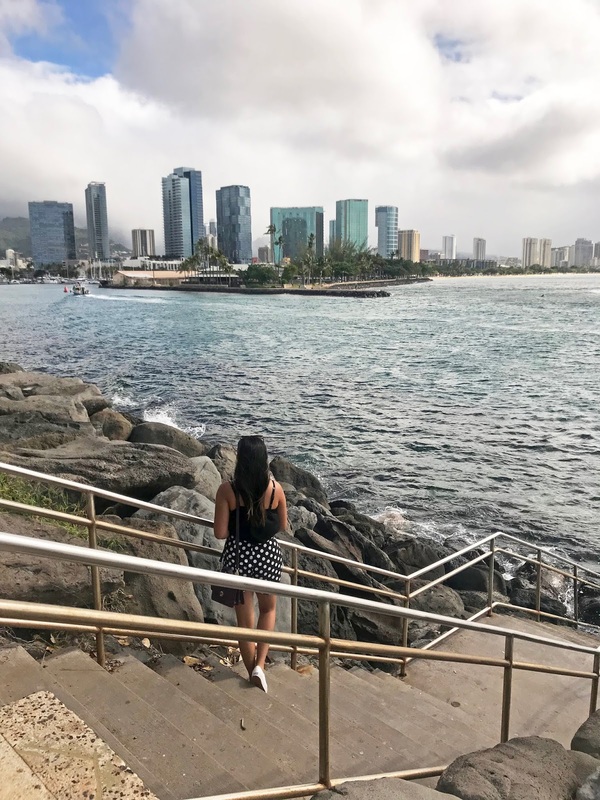 The best part is – after you chow down on the incredible dishes downstairs, you can come up and enjoy the gym whenever you want. Open to guests 24/7 – so no excuses! 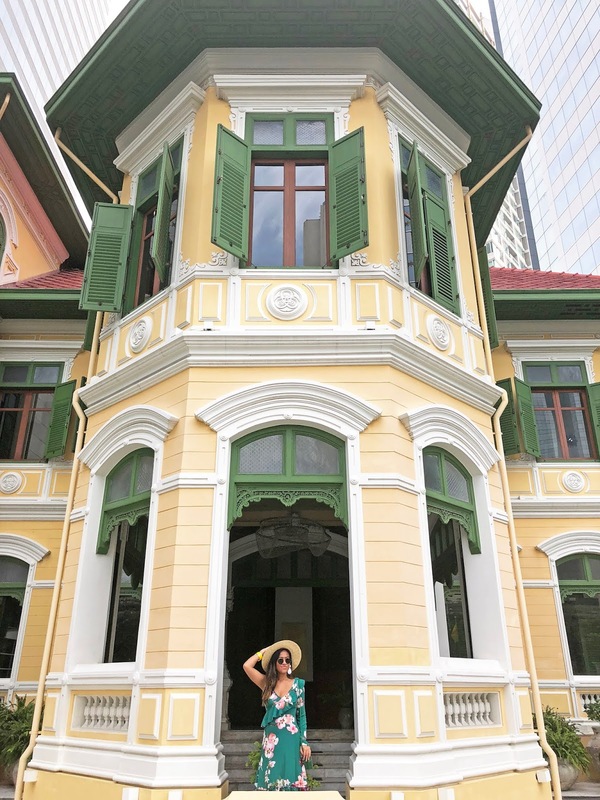 From the strikingly unique ambiance, to the tasty cuisine and accommodating staff – W Bangkok exceeded our expectations. But am not surprised because W Hotels never seem to disappoint! We really enjoyed our stay and look forward to visiting again! 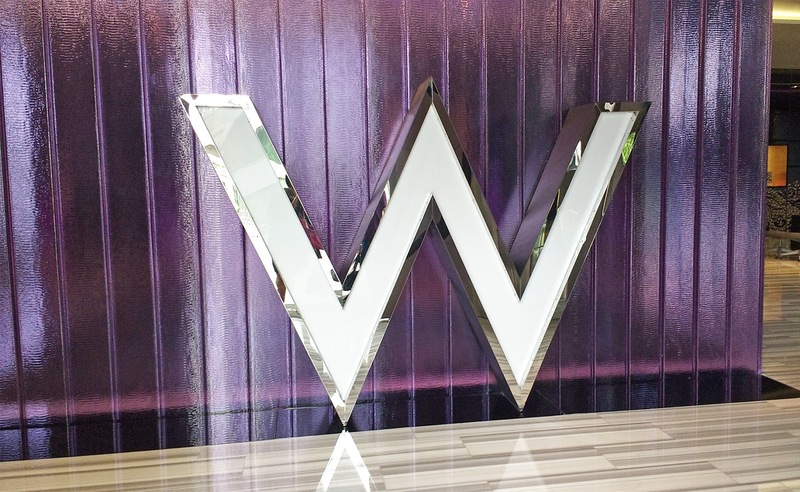 Thank you to the W Bangkok team for hosting our stay – as always, all opinions are my own.